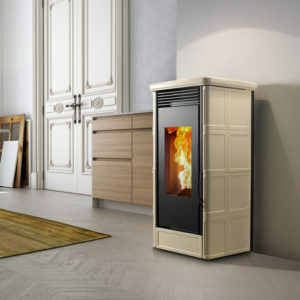 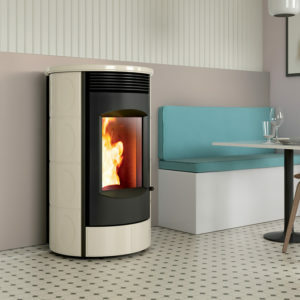 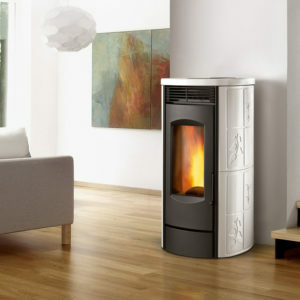 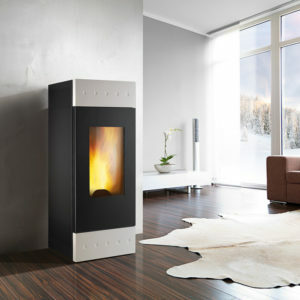 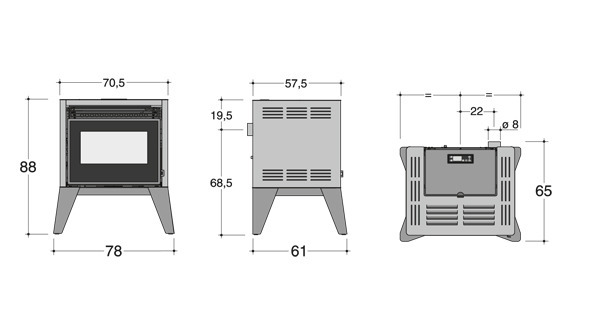 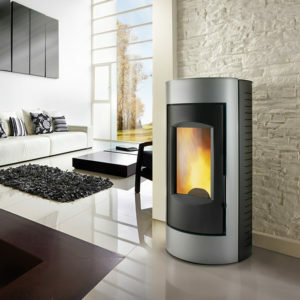 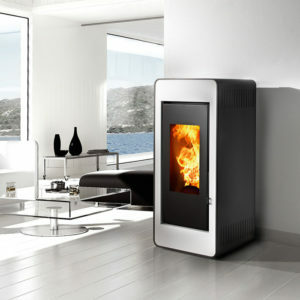 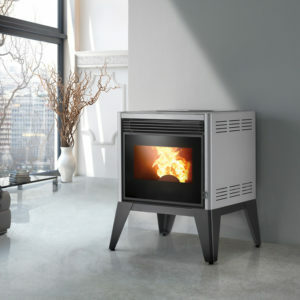 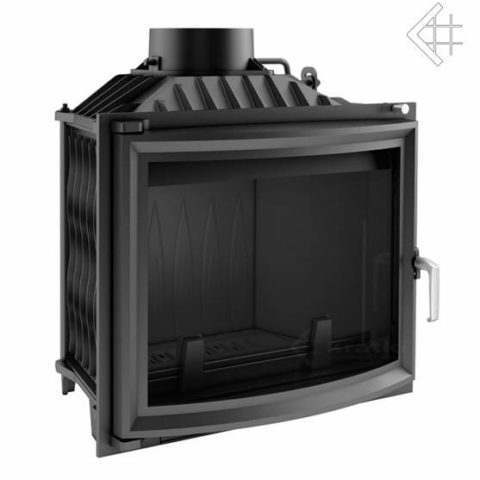 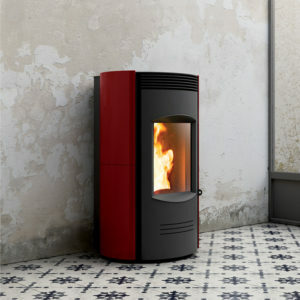 Pellet stove in a compact design. 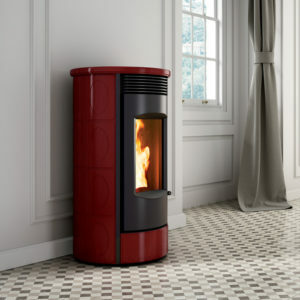 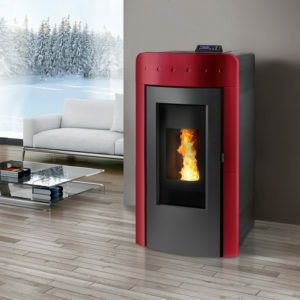 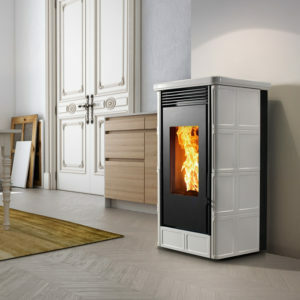 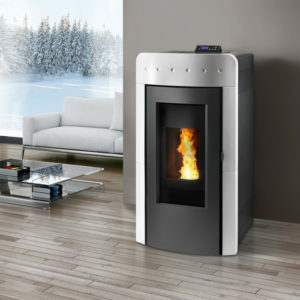 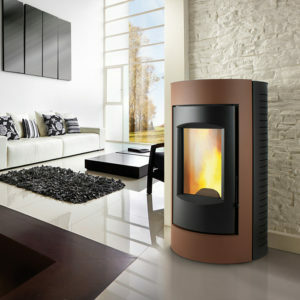 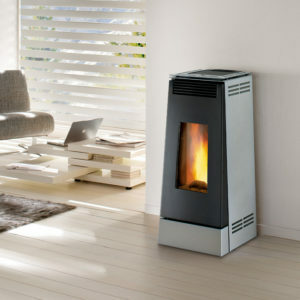 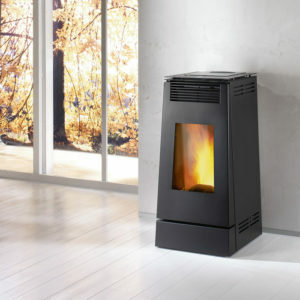 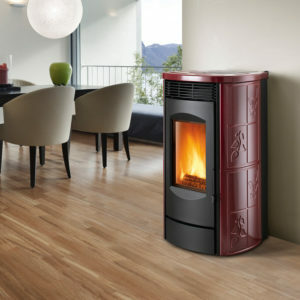 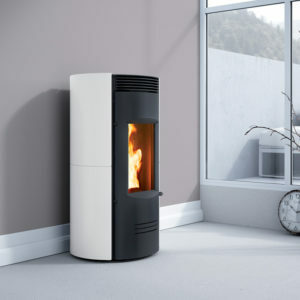 Reduced depth is the characteristic of LEAN , pellet stove the hot air can easily be inserted into any living environment. 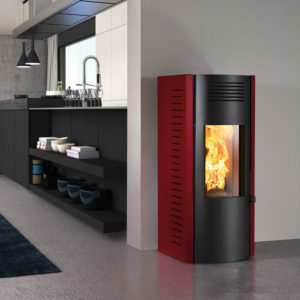 Asymmetry aesthetics is another distinctive feature together with the door mirror glass ( MIRROR ) or with glass painted black ( BLACK ), which gives it a touch of modernity. 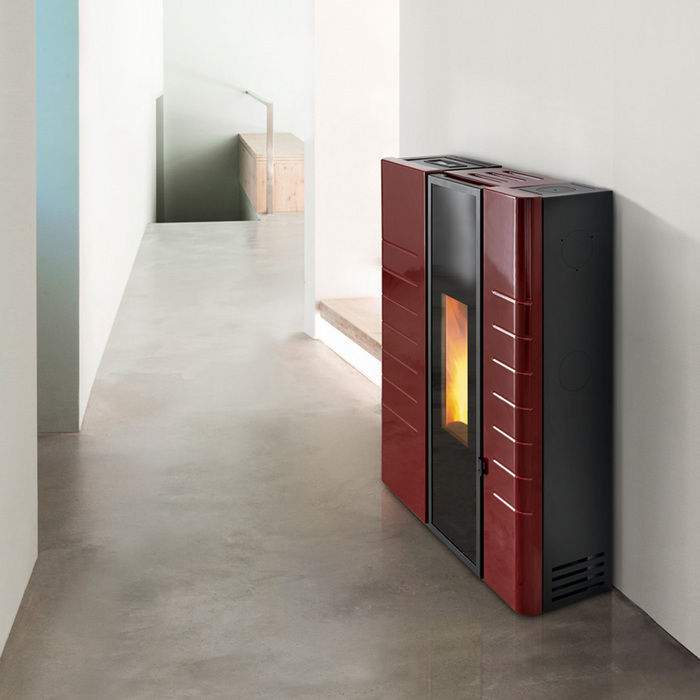 structure in black painted steel is enriched in noble ceramic coating, available in three different color tones. 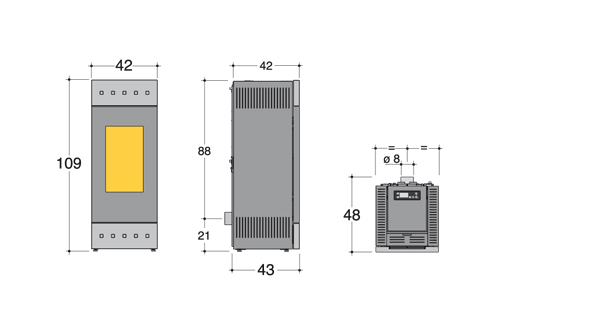 A LEAN is available in two powers 6 0 kW and 9.0 kW and can be mounted on the floor or hanging on the wall (optional kit). 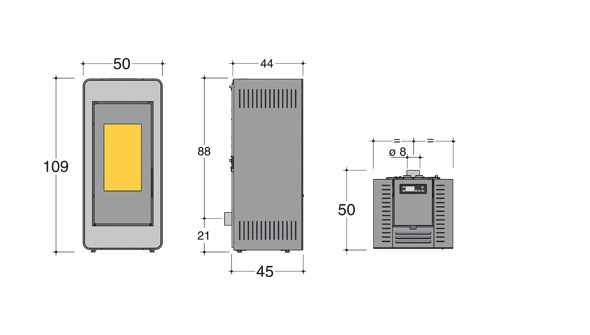 Available a multifunction radio remote control for the management of its functionality (optional kit). 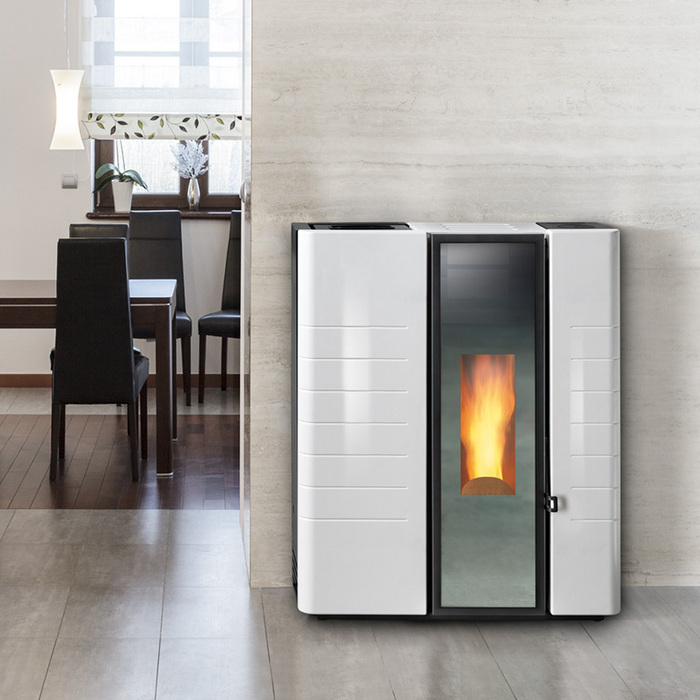 pellet stoves in Fireplaces Montegrappa use technology APS-Automatic Power System and KCC-Kit Combustion Control . 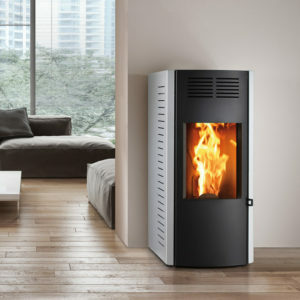 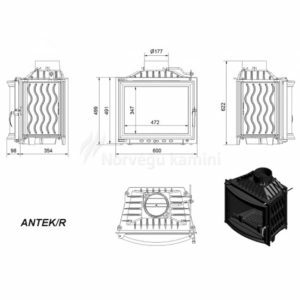 APS is a system that: ⁃ automatically modulates the heat output of the unit heater and adapted to the actual needs of the environment ⁃ reaches and maintains the premises, always and in every condition, the desired comfort in the shortest possible time ⁃ avoids inconvenient and economically not convenient elevation of temperature. 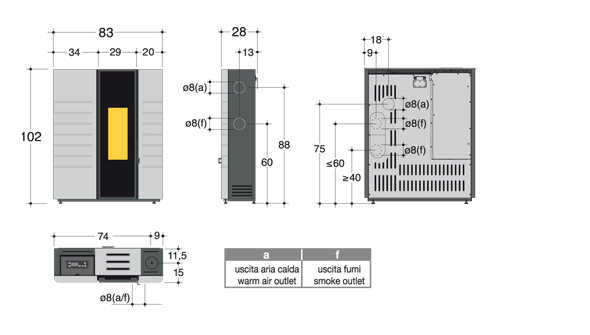 More precisely, APS processes from time to time the starting temperature, than that required by the user and the time required to reach it.